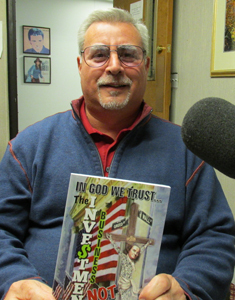 Author Richard Zaccaro is a guest on this segment of Monday Night Talk. 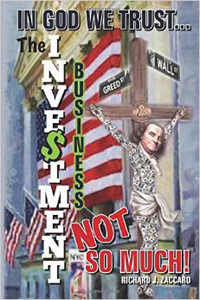 Richard, who authored the book, In God We Trust, The Investment Business Not So Much, gives an inside look at the pension fund industry, as he's someone who has personally experienced thirty years of the highs and lows of the investment business having been on all three sides, buy, sell, and consulting end! The book is a guide to what you need to be successful in the investment industry and how to open the right doors that can lead to making hundreds of thousands of dollars every year! 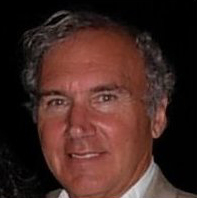 Mr Zaccaro started his professional career in the investment industry in 1987, when he was responsible for overseeing the Commonwealth of Massachusetts State Teachers and Employees Retirement System. He also spent two years as a marketing representative for a global investment firm and was a pension fund consultant for fifteen years with three different firms advising billions of dollars for his clients. Richard also serves on several different city government and county committees, where he uses his vast financial experience and knowledge and is responsible for the oversight of millions of dollars. His book is available on Amazon.com Do you have an topic for a future show or info on an upcoming community event? Email us at mondaynighttalk@gmail.com or "like" and post a comment on our Facebook page: www.facebook.com/mondaynighttalkon959fmwatd. If you're a fan of the show and enjoy our segments, you can either download your favorite segment from this site or subscribe to our podcasts through iTunes today! © Monday Night Talk with Kevin Tocci - 2015. Unauthorized use and/or duplication of this material without express and written permission from the show host and/or owner is strictly prohibited. David Reilly Manager of Communications for the South Shore Hospital Charitable Foundation, Brenda Karkos, Director, Hospice of the South Shore and Lynda Campbell, a member of this year's Honorary Family talk with host Kevin Tocci and Joe Rossi about the upcoming 24th Annual Walk For Hospice fundraiser being held on Saturday, March 21 at South Shore Plaza in Braintree. Hospice of the South Shore provides end-of-life care and bereavement services to 500 South Shore families annually. In addition to providing end-of-life care for individuals, Hospice care also teaches family members to comfort and care for their loved one and for each other. No patient is turned away, regardless of ability to pay. The Walk for Hospice began 24 years ago when 100 walkers gathered at the Hanover Mall and raised $32,000 for Hospice of the South Shore. That group has expanded as the need for Hospice services has grown. The Walk is now a family-friendly event with more than 100 teams. If you would like to join a team or start your own, contact Meghan Canal at meghan_canal@sshosp.org or (781) 624-8142, or visit www.walkforhospicekintera.org. Do you have an topic for a future show or info on an upcoming community event? Email us at mondaynighttalk@gmail.com or "like" and post a comment on our Facebook page: www.facebook.com/mondaynighttalkon959fmwatd. If you're a fan of the show and enjoy our segments, you can either download your favorite segment from this site or subscribe to our podcasts through iTunes today! © Monday Night Talk with Kevin Tocci - 2015. Unauthorized use and/or duplication of this material without express and written permission from the show host and/or owner is strictly prohibited. 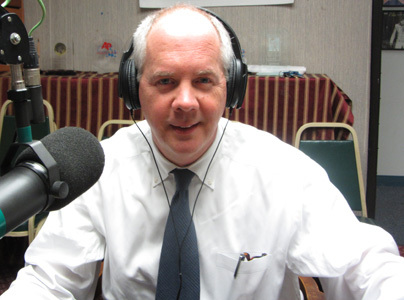 Braintree Mayor Joe Sullivan is a guest on this segment of Monday Night Talk! Mayor Sullivan joins Kevin Tocci and Joe Rossi to talk about being named to Governor Charlie Baker's panel to look at the MBTA's problems, whether the state should mothball the South Coast Commuter Rail Line, how his town has spent its snow and ice budget, the FY 2016 budget and an executive order to strengthen municipal relation between the communities and the governor's office. Do you have an topic for a future show or info on an upcoming community event? Email us at mondaynighttalk@gmail.com or "like" and post a comment on our Facebook page: www.facebook.com/mondaynighttalkon959fmwatd. If you're a fan of the show and enjoy our segments, you can either download your favorite segment from this site or subscribe to our podcasts through iTunes today! © Monday Night Talk with Kevin Tocci - 2015. Unauthorized use and/or duplication of this material without express and written permission from the show host and/or owner is strictly prohibited. State Representative Josh Cutler is a guest on this episode of Monday Night Talk! Rep Cutler stops in for the State House Report to share the new date for a drug forum being held on April 14th by the group Pembroke Titans against Drugs, plus his thoughts on the MBTA's problems during a number of snow storms that blanketed the region over the past couple of weeks. Do you have an topic for a future show or info on an upcoming community event? Email us at mondaynighttalk@gmail.com or "like" and post a comment on our Facebook page: www.facebook.com/mondaynighttalkon959fmwatd. If you're a fan of the show and enjoy our segments, you can either download your favorite segment from this site or subscribe to our podcasts through iTunes today! © Monday Night Talk with Kevin Tocci - 2015. Unauthorized use and/or duplication of this material without express and written permission from the show host and/or owner isstrictly prohibited. WATD Chief Meteorologist Rob Gilman is a guest during this segment of Monday Night Talk! 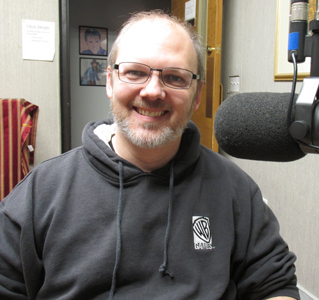 Rob chats with host Kevin Tocci and Joe Rossi about getting into his field of expertise, weather forecasting, co-owning Precision Weather Forecasting, plus he looks at the recent winter weather that feaured a series of powerful storms. To learn more about Rob's company, Precision Weather Forecasting, please visit his website; www.snowandice.com/. Do you have an topic for a future show or info on an upcoming community event? Email us at mondaynighttalk@gmail.com or "like" and post a comment on our Facebook page: www.facebook.com/mondaynighttalkon959fmwatd. If you're a fan of the show and enjoy our segments, you can either download your favorite segment from this site or subscribe to our podcasts through iTunes today! © Monday Night Talk with Kevin Tocci - 2015. Unauthorized use and/or duplication of this material without express and written permission from the show host and/or owner isstrictly prohibited. Massachusetts Governor Charlie Baker is a guest on this segment of Monday Night Talk! Governor Baker takes a few moments to talk about taking office and dealing with a $768 million budget deficit, the MBTA shutdown caused by a series of snow storms, the governor's first budget and his recent executive order to strengthen municipal relationships. Do you have an topic for a future show or info on an upcoming community event? Email us at mondaynighttalk@gmail.com or "like" and post a comment on our Facebook page: www.facebook.com/mondaynighttalkon959fmwatd. If you're a fan of the show and enjoy our segments, you can either download your favorite segment from this site or subscribe to our podcasts through iTunes today! © Monday Night Talk with Kevin Tocci - 2015. Unauthorized use and/or duplication of this material without express and written permission from the show host and/or owner isstrictly prohibited. 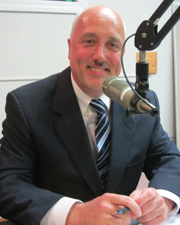 Brockton Mayor Bill Carpenter is a guest during this episode of Monday Night Talk! 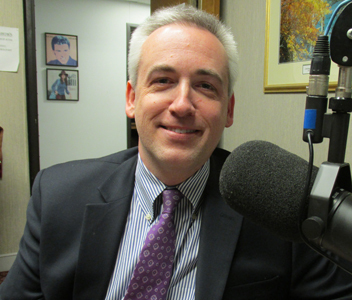 Mayor Carpenter, who is a regular guest on the program talks about how the winter weather has affected his city, the loss of the MBTA to residents, a bid to build a casino and the latest with the power plant project. Do you have an topic for a future show or info on an upcoming community event? Email us at mondaynighttalk@gmail.com or "like" and post a comment on our Facebook page: www.facebook.com/mondaynighttalkon959fmwatd. If you're a fan of the show and enjoy our segments, you can either download your favorite segment from this site or subscribe to our podcasts through iTunes today! © Monday Night Talk with Kevin Tocci - 2015. Unauthorized use and/or duplication of this material without express and written permission from the show host and/or owner is strictly prohibited. 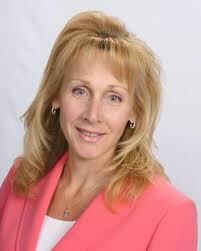 State Representative Shaunna O'Connell is a guest on this segment of Monday Night Talk! Rep O'Connell joins host Kevin Tocci and Joe Rossi to discuss a rule change in the Massachusetts House that eliminates term limits for the Speaker position. She also talks about a push to give lawmakers a raise during these tough fiscal times in the state of Massachusetts. Do you have an topic for a future show or info on an upcoming community event? Email us at mondaynighttalk@gmail.com or "like" and post a comment on our Facebook page: www.facebook.com/mondaynighttalkon959fmwatd. If you're a fan of the show and enjoy our segments, you can either download your favorite segment from this site or subscribe to our podcasts through iTunes today! © Monday Night Talk with Kevin Tocci - 2015. Unauthorized use and/or duplication of this material without express and written permission from the show host and/or owner is strictly prohibited. Comedian and actress Loni Love is a special guest on this segment of Monday Night Talk! Loni, who is the hilarious co-host of FOX Network's Daytime talk show The Real, guest DJ on the Ellen DeGeneres Show, and one of the country's most sought after comedians, chats with Kevin Tocci, Joe Rossi and State Rep Tom Calter everything from her transition from electrical engineering to entertainment to her upcoming show on Friday, February 20th at the Wilbur Theatre in Boston, MA and Saturday, February 21 at the Comedy Connection Hu Ke Lau in Chicopee, MA. 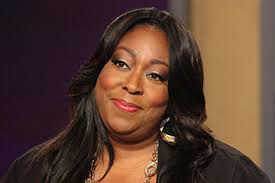 For info about Loni visit her website www.LoniLove.com. Do you have an topic for a future show or info on an upcoming community event? Email us at mondaynighttalk@gmail.com or "like" and post a comment on our Facebook page: www.facebook.com/mondaynighttalkon959fmwatd. If you're a fan of the show and enjoy our segments, you can either download your favorite segment from this site or subscribe to our podcasts through iTunes today! © Monday Night Talk with Kevin Tocci - 2015. Unauthorized use and/or duplication of this material without express and written permission from the show host and/or owner is strictly prohibited.